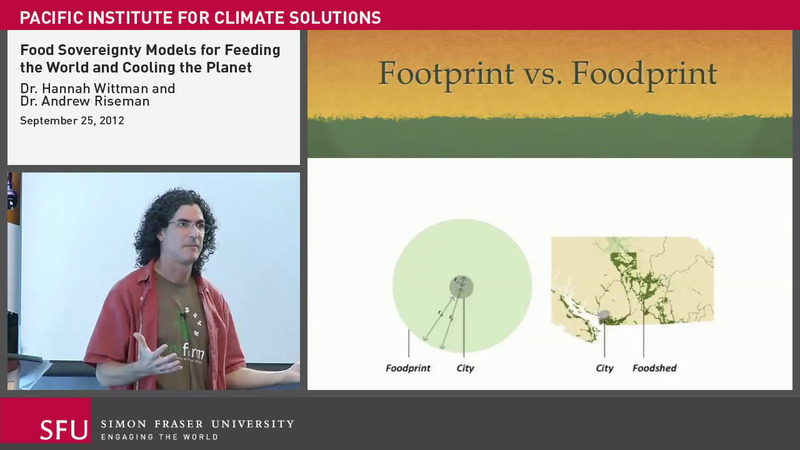 “On September 25, 2012, the Pacific Institute for Climate Solutions hosted a free Vancouver public lecture by Drs. Hannah Wittman and Andrew Riseman. These SFU and UBC faculty presented examples of models for diversified food systems that foster food security and environmental resilience in the context of climate change. Be sure to watch the full lectures online here at The Learning Centre Website.